Best free pedometer to track your daily steps, walking & weight loss, count steps, calculate your burned calories and walk distance from our step tracker – An easy-to-use pedometer, step counter & walker tracker app. All this information will be displayed in graphs clearly.Walking for weight loss! Every step counts! Just enter our app and start your daily steps plan, then it starts count your steps automatically. It can auto-record your steps when your phone is with you, even your screen is locked or your phone isn’t in your hands. 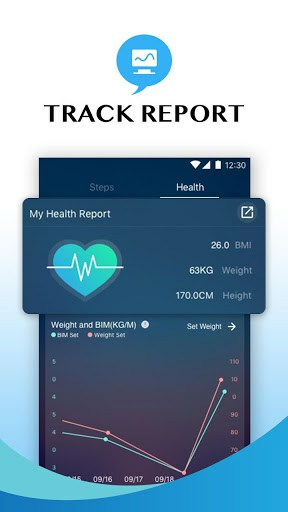 Record your daily fitness activities（number of steps, distance, speed and calories burned etc.）Built-in pedometer tracks your steps as you walk. 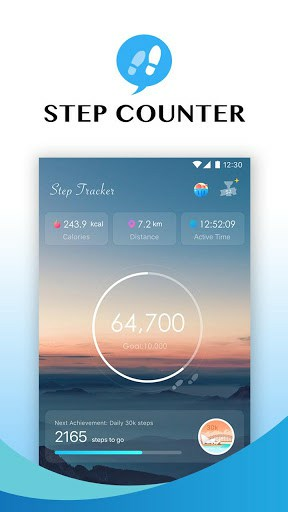 Effective step counter app to help you keep fit! 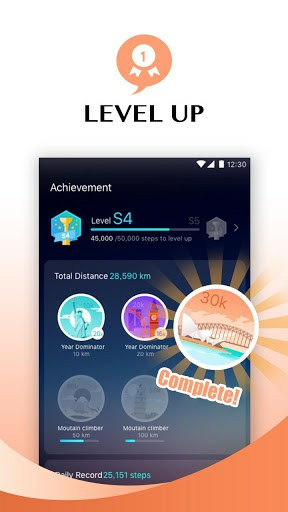 Ranking daily steps, compete with your friends here, walk more and occupy your friends’ cover! Invite your friends to do exercise together! Set your personal goals for duration, distance, calories or interval training. Monitor your progress and adjust your schedule anytime, anywhere! Calculation of BMI, and body fat with individual analysis over a period of time. Record changes in body metrics to help you lose weight by walking. Track weight, habits and more. Customize your daily reporting time, get your daily steps and ranking reports on time automatically. you can check your process in notification bar to track your fit process always. Track your steps, activity and calorie burn. Make every step count and lose more weight. Multi colorful themes will be changed depends on time of the day. 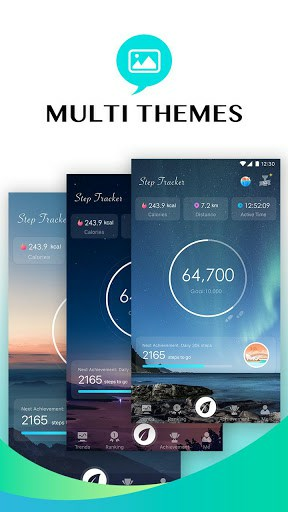 You can explore morning、day & night 3 different theme mode to enjoy your step counting experience with this step tracker. All features provided are 100% FREE. You can use all features without having to pay for them. – Adjust step counter sensitivity by entering your height and weight, to set your own fitness plan base on your personal condition. – Connect to Facebook and rank with your friends here! Establish friendly competitions to motivate each other! – You can check your real-time steps by setting a fixed banner in your notification bar. – Start, Pause and stop step counting more easily as you wish! Check your activate time and access to the number of steps flexibly. – Lose weight with step counting and activity tracking. Start your Walking for Weight Loss plan today! Improve your physical fitness, strengthen heart rate and lung function, enhance muscle strength through simple operations. You’ll be on the way to a healthier lifestyle with your daily step counter! 1. Improvements of reliability and usability.